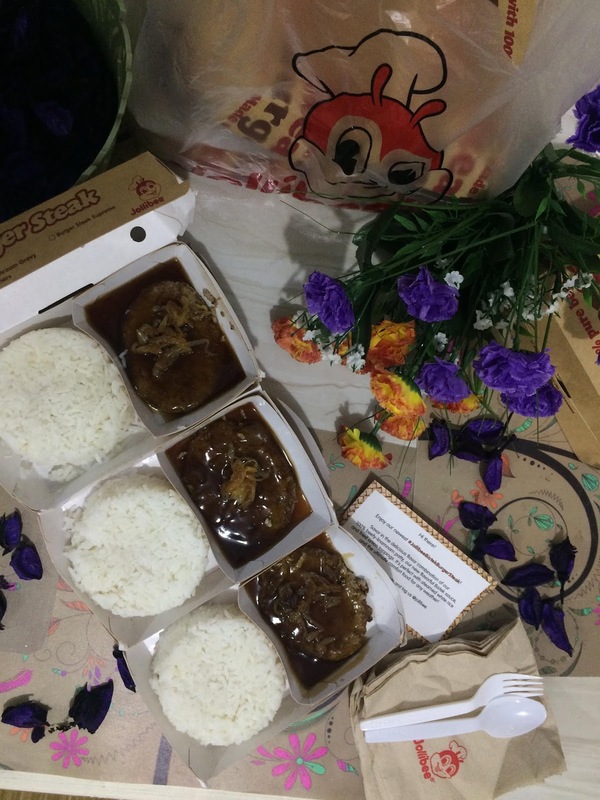 The Jollibee Burger Steak with a Filipino Twist! It's beefy linamnam, with fried onion toppings and a just the right balance of savory and sour hit - that's the new Jollibee Bistek Burger Steak! This is the ultimate comfort food when you're missing the traditional Filipino Bistek but you're on a budget! Head on over to your nearest Jollibee and enjoy the newest #JollibeeBistekBurgerSteak! For only Php55.00 you can taste the one-piece Solo meal! More jolly-goodness on @Jollibee's Instagram and Twitter.